Now This Is How You Do A Relic Card! Last year I attempted to put together the Topps flagship set by buying a jumbo box of both series. I knew I could score a complete set for far less than one box on eBay, but I had the itch to bust some wax. After busting the two boxes I was left with a handful of cards to finish off the set, a Starlin Castro Red Hot Rookie redemption, a Kosuke Fukudome relic card, and a Rogers Hornsby bat card. You’d think this box was a Cub’s fan’s dream come true, right? 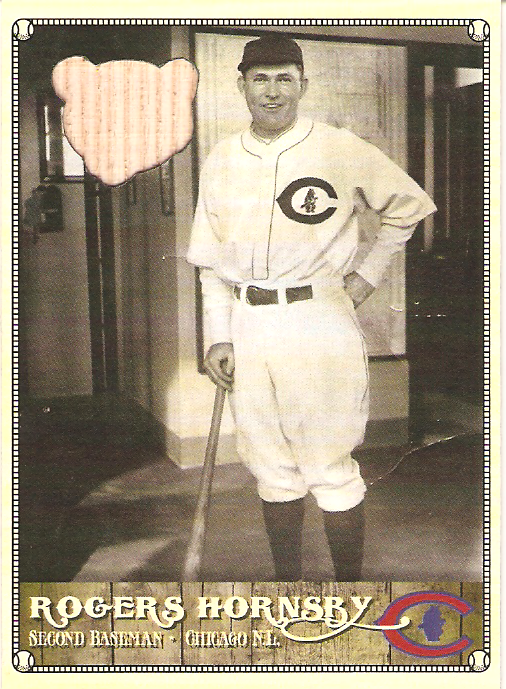 Well, unfortunately Topps decided Hornsby looked better in this uniform than he did in the Cubby Blue. I don’t know what they were thinking? That’s the ugliest uniform in the bigs! Anyways, after sitting on my shelf for a month or two it got tossed in a box and put away in the closet. I recently came across it and though about putting it on eBay. I checked the completed auctions and found a blue parallel version sell for $4. For $4 I decided to hold onto it and try something different. I sent out an email for help and an envelope of beat up vintage cards to the SlangKo Headquarters, and Sean was up for the challenge. And he blew it out the damn sky! This card is far and above the expectations I had! I mean, he does great work, but this is far above great! This card looks a million times better than the other one, and it has nothing to do with the uniform! Wait, it gets better. 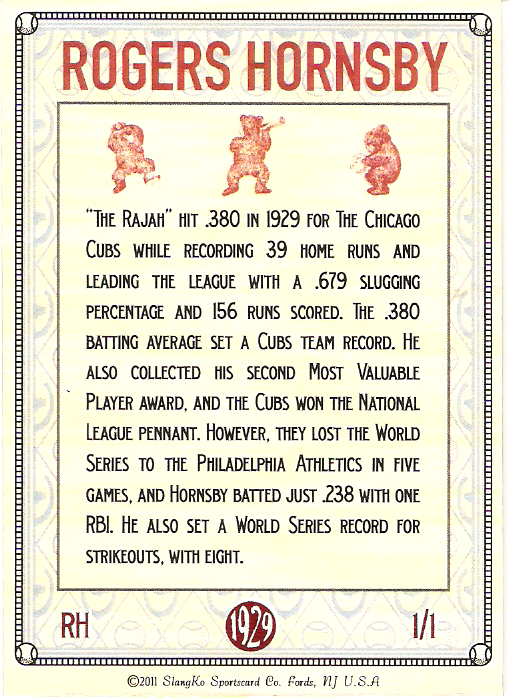 Do you want to see what the back of a card like this is supposed to look like? Classy, Huh! I’m not sure if you can tell, but the bottom line is in red foil. I sure as hell wasn’t expecting foil! This card literally went from something I had forgotten about in a box in the closet to something I will display and show off to who ever will look at it! And why wouldn’t they want to look at it, it’s beautiful!? Side by side, there’s no competition. 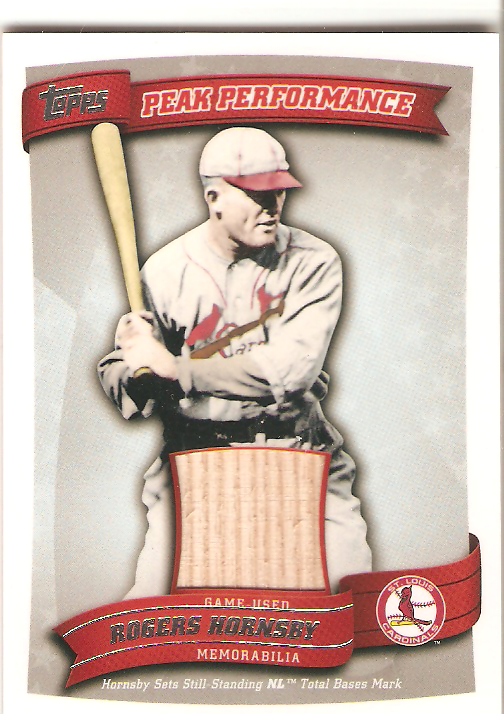 If you would choose the original over the SlangKo card, you must be out your damn mind or a Cardinal’s fan. In either case that would leave you out your damn mind. Big deal you say? Nine extra custom cards? 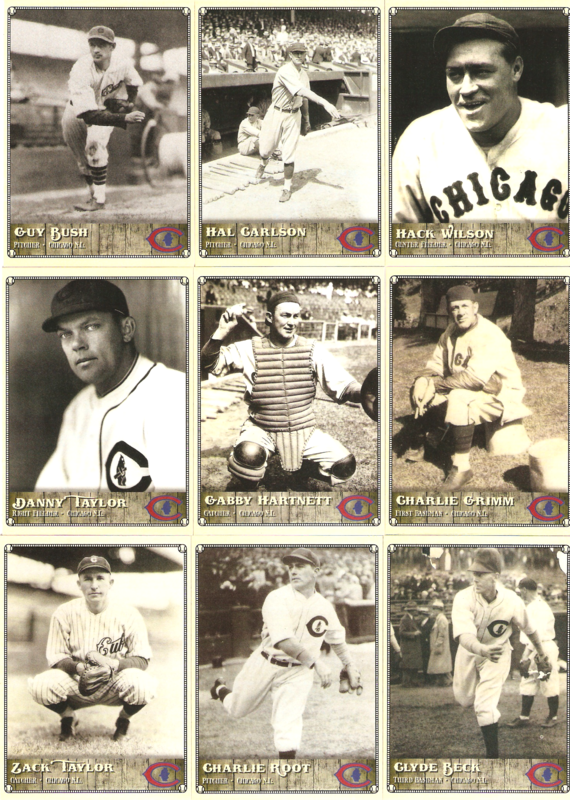 No, these are only 9 of 32, one for every Cub to suit up in 1929! Front and Back! I can’t tell you how glad I am I decided to ask him for help! I’m already scouring eBay for more cheap relic cards and my collection for more beat up vintage to send his way! I heard he really likes the 1960 set! I think I got a bunch of those somewhere around here? Thanks again to Sean for an unbelievable job well done!